Good people, the Super Eagles coach has released the names of the 23 men who would represent Nigeria in Russia 2018 World Cup. As you study the names and how the coach would deploy them for glory in Russia, you may need to go back to the database of history. 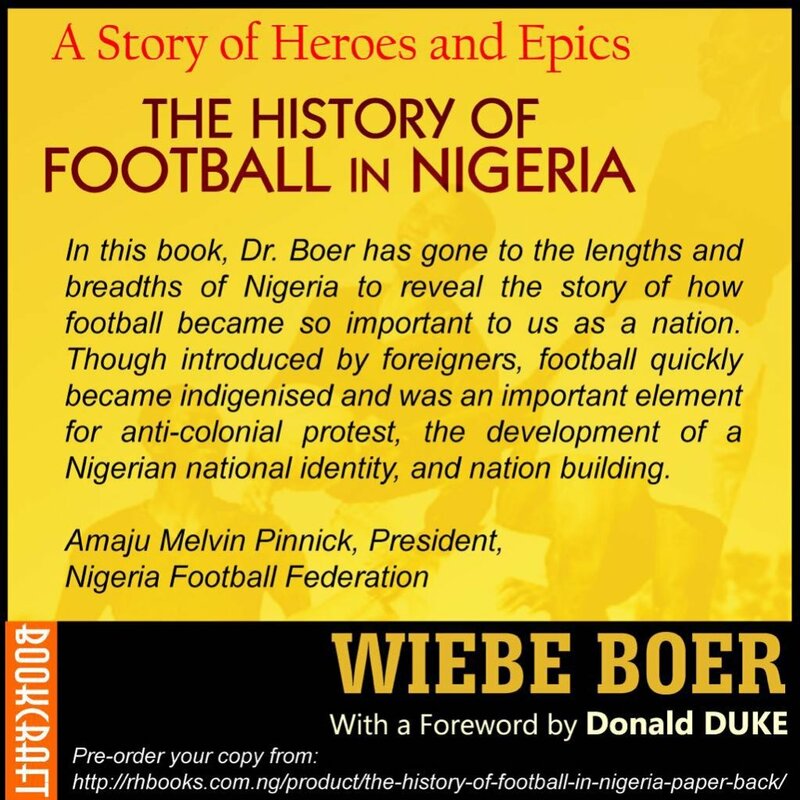 A new book – The History of Football in Nigeria – is available to help you. This book by Dr. Wiebe Boer chronicles our national passion in a very insightful and entertaining way. Get your copy here for N5,000. A Story of Heroes and Epics: The History of Football in Nigeria tells the hugely significant story of the rise of football in colonial Nigeria as a unifying cultural force in the country. The origins of the game in Nigeria, the history of organised football, the institutions that produced the early football stars, the first Nigerian players to play abroad, Nigeria’s first international matches, the earliest rivalries and narratives on football’s incursion into the southern and northern regions, are some of the subjects that form the basis of this incredible social history of Nigeria. Lucid, entertaining and insightful, the writer introduces you to key historical characters ranging from the colonial officers, western missionaries and school principals to the Nigerian political leaders and founding fathers who influenced the rise of football as both a popular pastime and a unifying force for the country. 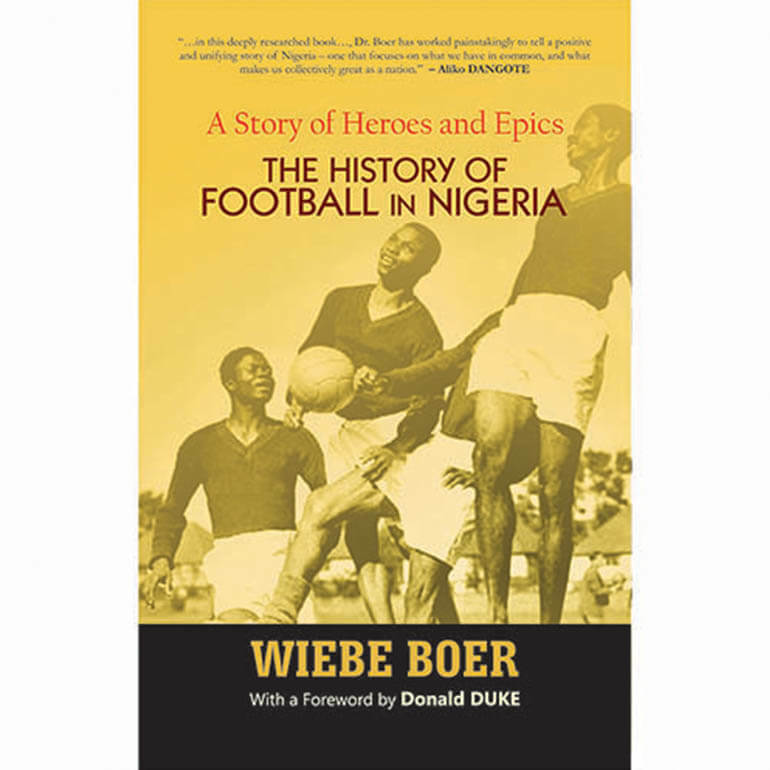 After undertaking the difficult task of researching Nigeria’s colonial era, conducting dozens of primary interviews, and collating documented history on the roots of football in the country from local and foreign archives, Dr. Wiebe Boer came up with a fabulous book that is destined to become an essential read for understanding Nigeria’s intriguing relationship with football and how the game has played such an important role in the construction of Nigeria’s national identity.